Wedding Cake is a Girl Scout Cookies x Cherry Pie cross that promises to be even more popular than either parent. The name alone attracts plenty of attention, but that’s not all this new hybrid has to offer. 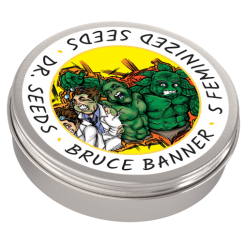 With a 25% THC rating, the buzz hits with full force for a pleasantly strong feeling of physical relaxation that lasts for hours. Wedding Cake is a Girl Scout Cookies x Cherry Pie cross that promises to be even more popular than either parent. The name alone attracts plenty of attention, but that's not all this new hybrid has to offer. With a 25% THC rating, the buzz hits with full force for a pleasantly strong feeling of physical relaxation that lasts for hours. 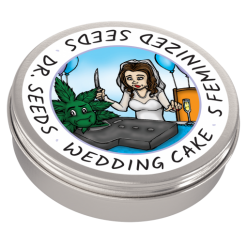 Soon after smoking or vaping Wedding Cake, a general feeling of happiness and well-being settles in followed by a raging case of the munchies. Recreational users may not always welcome the excessive hunger, but this strain's uncanny ability to stimulate the appetite makes it incredibly popular with cancer patients. It can also fight stress and depression, relieve physical pain and help even the worst insomniac get some sleep. 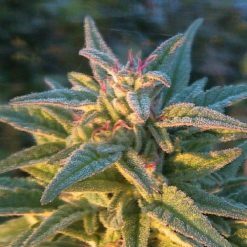 Wedding Cake, sometimes called Pink Cookies, is only a moderate yielder, but the dried buds are of the highest quality. 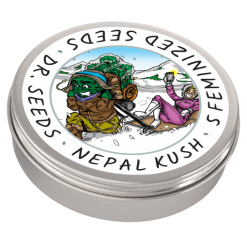 As the flowers ripen, the complex aroma continues to intensify, and it only gets richer during the cure. Properly dried Wedding Cake has a mildly pungent smell with threads of sweet earth and spicy pepper woven through the primary tang.